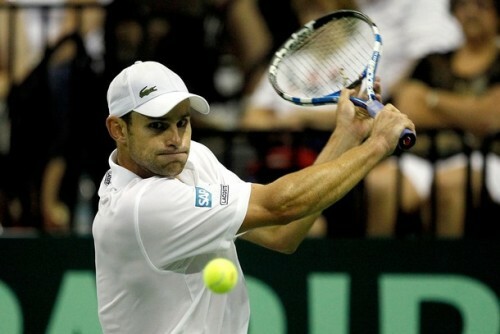 This weekend in the tennis world was dedicated to Davis Cup matches. In the World Group quarterfinals, Argentina dealt ruthlessly with Kazakhstan, 5-0 and France easily beat Germany in Stuttgart, 4-1. Serbia won against Soderling-less Sweden, 4-1, with the new No. 1, Novak Djokovic losing the only rubber he played in - the doubles match. The most interesting tie was the one held in Austin, Texas - USA vs. Spain. The Americans had the home advantage, the surface advantage (they chose an extra fast court for the tie), the No.1 doubles pair in the world (Bryan brothers) and the advantage of 2 top-10 players who didn't have to face Rafael Nadal. 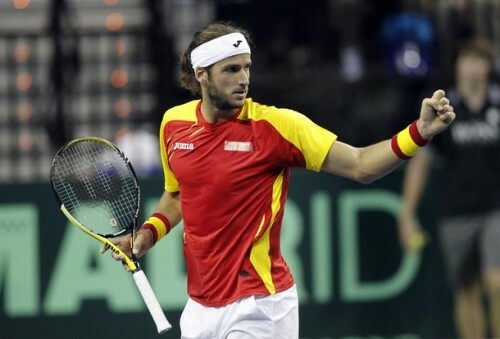 But Spain had the advantage of having two singles players who could ignore all the opponents' strengths, play their best tennis, and win the tie. Feliciano Lopez won a long 5-setter against Mardy Fish, 6-4 3-6 6-3 6-7(2) 8-6, clinching the very important first point on Friday. David Ferrer won the second point straight away, winning 3 sets against Andy Roddick, who missed a lot of chances (being up a break in two sets out of three). Then, Marcel Granollers and Fernando Verdasco gave the Bryan brothers a fight, going down 7-6(3) 6-4 6-4 6-4. Actually, scratch that. Marcel Granollers gave the brothers a fight, while Fernando Verdasco missed lots of volleys. 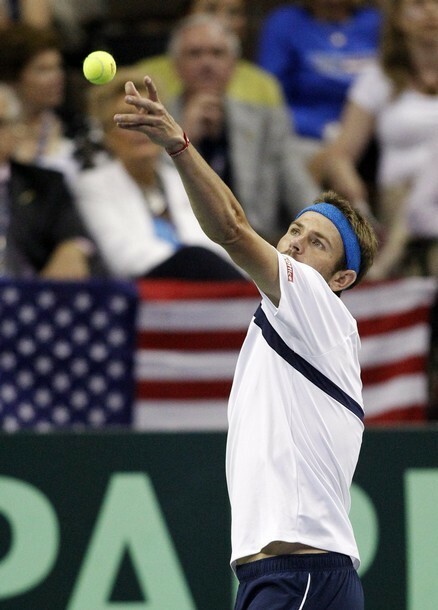 And forehands. And... Yeah, whatever. 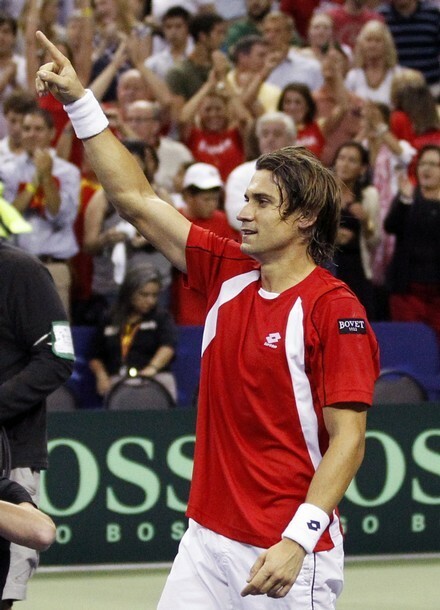 Finally, Ferrer won his second singles match against Fish, in four long sets which took 4:11 hours - 7-5 7-6(3) 5-7 7-6(5). In both his rubbers, he came back to win the first set after the Americans were serving for it at a 5-4 situation. No wonder team Spain celebrated as they did!